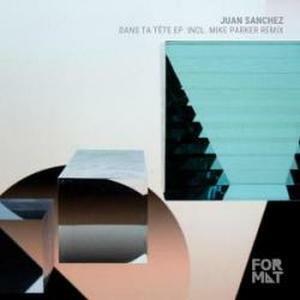 Format returns with another 4-track slice of techno from the label’s founder, Juan Sanchez, including a remix by lauded US producer Mike Parker. The EP opens with Qx02, a jacking techno track built on gritty synth swirls and an acidy pulse. Following up, Mike delivers a much darker rework with a menacing kick drum as its engine. The EP’s title track Dans Ta Tete pumps up the tempo, delivering a fast-paced synth-driven stomper. Things close off with Plural, on which Juan explores the more dubbier sides of techno across lush and warm ambient chords. FR015 is another prime example of Format’s signature techno sound that’s successfully finding its way to the floors.